Our 35th president was a man who exuded style and class. John Fitzgerald “Jack” Kennedy became one of the most popular presidents and his administration was refered to affectionately as Camelot. He garnered respect from politicians on both sides of the aisle, but he also had a fair share of detractors. Some disliked him so vehemently that they were able to take his life on November 22 1963. Of course any discussion of JFK can go in so many directions; His politics are open for debate, his storied personal life, and many rumored trysts make for sordid conversation. He without a doubt left a huge legacy here in america and depending on your perspective will decide the degree of said legacy. I wont be addressing those topics here, I want to talk about Jack’s personal style, specifically his taste in watches. 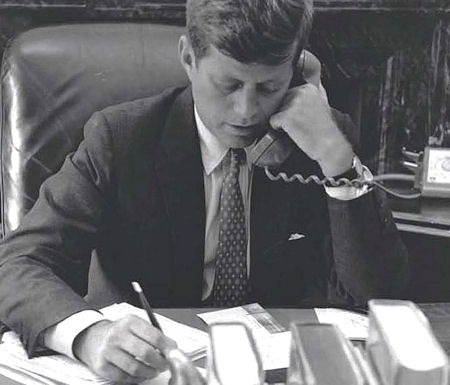 There are four specific watches related to JFK that tell stories of their own. Four distinguished pieces belonging to the president that he wore for various reasons in noteworthy situations. 50 years ago John F. Kennedy gave his first State of the Union speech. For that speech he wore an Omega tank wristwatch. He obviously liked the design since this is the second piece he wore with this case shape. It went up for auction a few years back, and Omega watch company purchased the very watch that JFK was wearing at that speech. The company says it spent $350,000 to acquire it, and has also created for sale a commemorative version, a copy of the one JFK was wearing at that speech that day. Another watch from the fabled french design house. 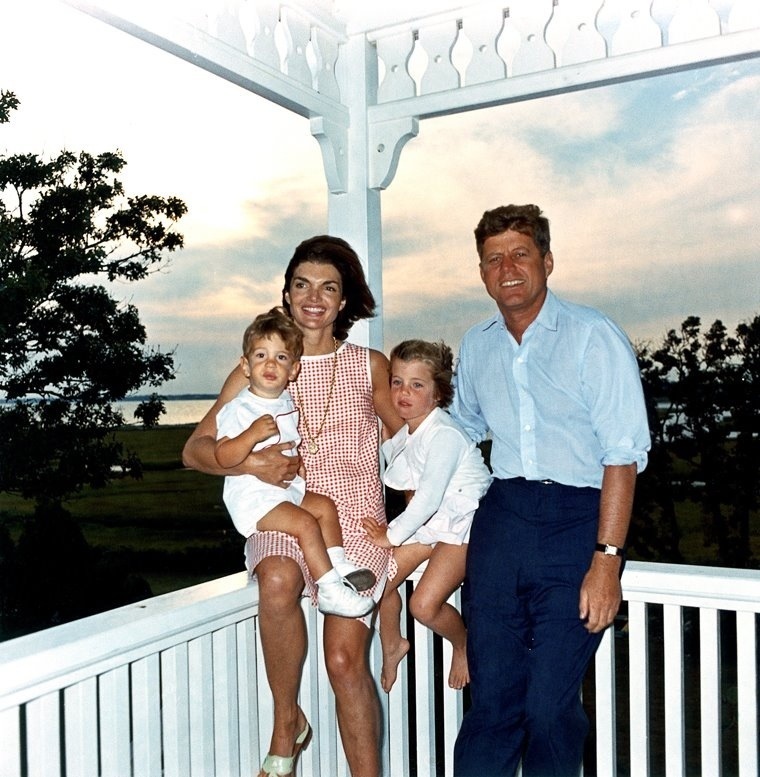 JFK often wore an 18 carat gold Cartier watch given to him by his wife Jacqueline for their fourth wedding anniversary. 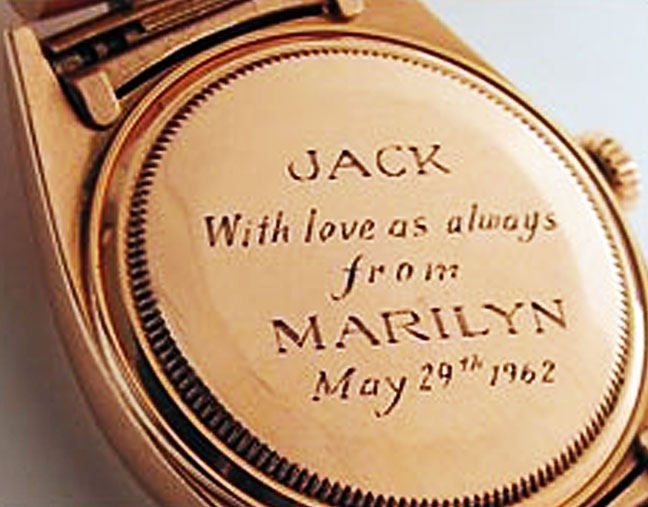 It is inscribed with the President’s initials, the Kennedy family arms, and their wedding date. This is the watch he was wearing the day he was assassinated in Dallas Texas. 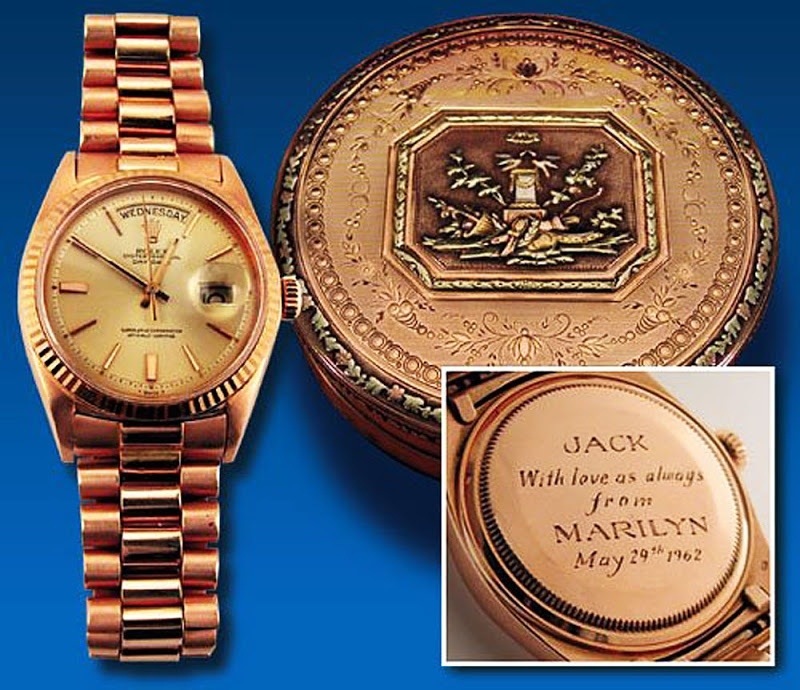 This watch was removed from the presidents wrist and given to the first lady, it changed hands to the president’s secretary and was eventually left to a collector, Robert White, along with some other mementos. A Heartfelt Plea on Your Birthday. “Let lovers breath their sighs and roses bloom and music sound. Rumors abound when it comes to this watch, some are convinced of its provenance, and others say some talented grifter contrived this after his death, either way it is a great piece. Everything aside, these watches related to our 35th president, JFK, are as I say, Swell. This entry was posted in Cartier, Omega, Rolex, Watches and tagged Assassination, Assassination of John F. Kennedy, Bulova, Cartier Tank, Dallas, Hamilton, History, JFK, John F Kennedy, Kennedy John Fitzgerald, Madison Square Garden, Marilyn Monroe, Omega, President, Rolex, Swiss, Watches. Bookmark the permalink.